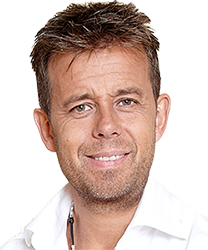 Pat Sharp has spent 35 years in the radio industry, playing on stations all over the world. He presented his first daytime show for Radio One in 1982, moving on to Capital FM, London's Heart and Smooth Radio. His shows have picked up some of the most prestigious awards in the industry. Pat's extensive TV experience includes hosting the world famous ITV show "FunHouse" plus he has also voiced TV commercials for some of the UK's biggest brands. He even took on the ‘Jungle’ to appear in "I’m A Celebrity Get Me Out Of Here" in 2011. It's with this knowledge and experience of the business, that he now produces radio jingles, commercials, TV themes and all types of audio imaging. You need to stand out from the crowd, especially in today’s crowded market place. So where do you go for your imaging? Nowhere, stay right here! As a company, these guys are vibrant, keen, professional and dynamic in everything they do and create. Here you hear it, there you don't. STAY HERE AND STAY SHARP!